With 6 albums released since 2000, including the highly acclaimed “Omphalos” (nominated for “Best Foreign Record” in ProgAwards 2006) and “Ouroboros” (Winner – “Best Foreign Record” in ProgAwards 2009) Kotebel is one of the main progressive acts in Spain and Latin America. Our latest album – Concerto for Piano and Electric Ensemble – won both the Jury and Pop Vox awards in the 12th edition of the Independent Music Awards (IMA), in the category of Instrumental Music. Kotebel’s music is an elaborate, yet accessible blend of avant-garde symphonic rock, with a wide range of influences from classical to jazz to world music. Reviewers of our albums and fans mention influences as diverse as Genesis, Debussy, Yes, ELP, Ravel, Messiaen, Thinking Plague, The Enid, Steve Hackett, Gentle Giant, King Crimson or Chopin. sharing the stage with artists like Robert Fripp, Anekdoten, Magma, After Crying, IQ, Allan Holdsworth, Deus Ex Machina, Isildurs Bane, Jerry Marotta, Pat Mastelotto, etc. Kotebel is created by Carlos Plaza as a personal project. Three albums are released: Structures (2000), Mysticae Visiones (2002) and Fragments of Light (2003). These albums were studio projects created with the collaboration of excellent musicians, some of whom, like Carlos Franco or César García Forero (author of the series Quimerista – included in Fragments of Light), became the core of what Kotebel is today. Kotebel is invited to participate in the 2004 edition of the BajaProg Festival, so Carlos Plaza assembles a group of musicians for that particular event: Carlos Franco (drums), Omar Acosta (flutes), Carolina Prieto (Voice) and César García Forero (guitars) – who had participated in the previous albums – and Jaime Pascual (bass) and Marisa Cabrelles (keyboards) who were new to the project. With this configuration, Kotebel did a series of performances and Carlos Plaza started working on “Omphalos” with a different approach i.e., considering Kotebel as a band and taking into account the “live” perspective, with its advantages and limitations. 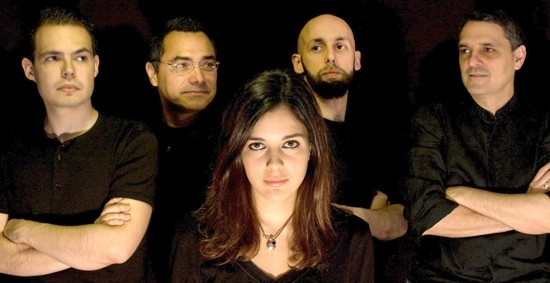 In 2005, a very young Adriana Plaza steps in, participates in the recording of “Omphalos”, and becomes a steady member of the band. The highly acclaimed “Omphalos” is released in 2006. Shortly after the release of “Omphalos”, and due to an extremely tight agenda, Omar Acosta departs and the band starts to perform as a 6 member configuration. By the end of 2007, Carolina Prieto leaves the band and a decision is taken to remain as a tight five member instrumental set, leaving more individual space for the remaining members. Kotebel’s configuration as a five piece instrumental ensemble quickly becomes an efficient performance engine, ready to explore aesthetics grounds that required more complex and demanding skills as individual and collective performers. “Ouroboros”, released in 2009, is Kotebel’s first album under this new configuration. During 2009 and 2010, Kotebel undertakes an important live activity, and in addition to a tour in Japan during the summer of 2009, it participates in several festivals (Madrid Art Music Festival, GoProg, Gouveia Art Rock, Crescendo), in addition to a number of performances in Spain and Italy. In January of 2011 the band makes a pause in its live activity in order to fully concentrate in the preparation of its next album. In September 17 & 18, the band captures a live studio performance of the Concerto for Piano and Electric Ensemble. Additional recordings for the rest of the album, as well as mixing and mastering, are done between October and December. Just before the end of the year, Kotebel discloses part of the album, and starts accepting pre-Orders for the release of “Concerto”, featuring a bonus DVD with a full rendition of the recording of the Piano Concerto. The band plans to release the album early in 2012. March of 2012 sees the release of the “Concerto for Piano and Electric Ensemble”. The album is very well received both within the progressive rock community as well as other academic circles and fans not acquainted with progressive rock. The album receives both the Jury and Vox Pop awards in the category of instrumental music, in the 12th edition of the Independent Music Awards. During the remainder of the year and until the Spring of 2013, Kotebel participates in a series of concerts in Spain to promote their new album, sharing the stage in Madrid with French TV, Baraka, Korekyojinn, and several Spanish bands. These series of concerts conclude with our participation at the Prog-Résiste Convention in Belgium, followed by a concert Holland, in April. KOTEBEL would like to thank the Spanish Association of Artists and Performers (AIE) and Spain Arts & Culture for their financial support. For the first time ever Necromonkey are coming to the US! But we shouldnt kid ourselves…this isnt really a blushing awkward blind date. 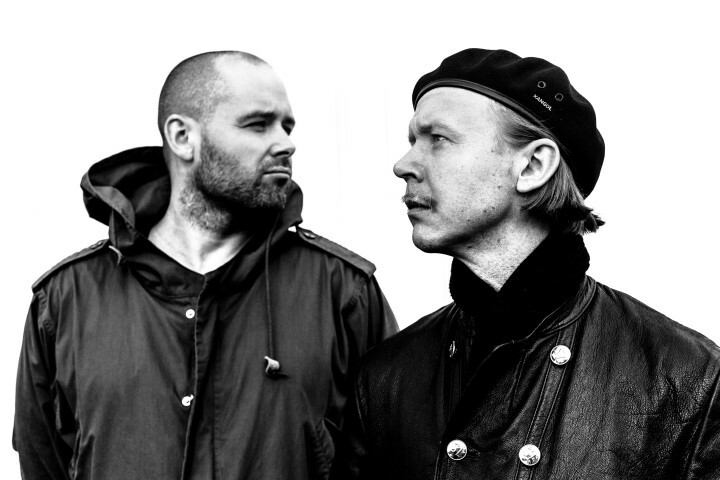 David Lundberg of Prog revitalists Gösta Berlings Saga and Mattias Olsson whos been dubbed “the Dali of scandinavian Prog” playing with legendary bands such as Änglagård, White Willow and Tom Doncourt(Cathedral) have played the U.S with their separate bands before. But as Necromonkey this is the first time in the U.S….ever. Necromonkey is everything the bands above are and at the same time their exact opposite. The band is first and foremost a duo but is augmented live in many different ways depending on the sitiuation and possibilities. They have played as a duo as well as being 8 people on stage. Weaving classic progressive sounds and rhythms with the tonality of Radiohead, Sigur Ros and the Instrumentation of Kraftwerk, Les Baxter and Steve Reich. The band bridges Magmaesque textures with Harry Partch mumbles. Does it sound confusing? Dont worry… give them a couple of minutes of your time and you will be just fine. They are a band on the move, changing and evolving. Necromonkey have released two albums so far to unanimous critical acclaim, Necroplex (2013) and A glimpse of possible endings (2014). They have the next four or five albums already recorded and ready to be released over the next couple of years. The band will be touring Europe during the fall and there are also plans for a spring US tour on the west coast. The live lineup of Necromonkey…!